I envy my parents as they never had to explore the question of, “What age is old enough for a child to have their own phone?” After all, payphones seem to have become antiquated and disappeared, so kids need a way to call home. 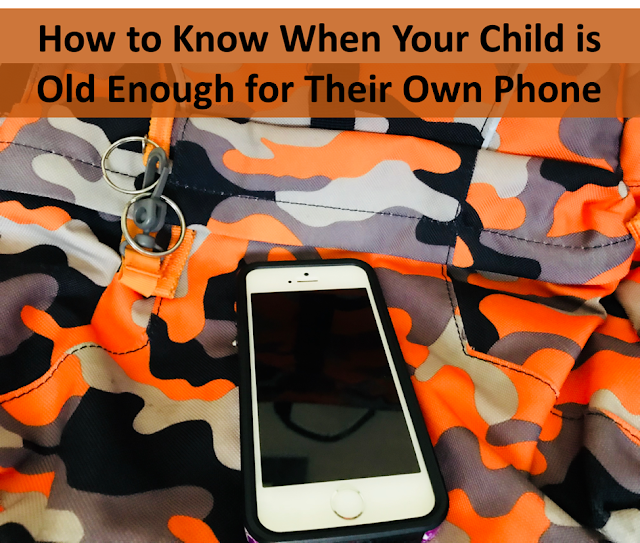 It’s a sign of the times that most children eventually receive their own cell phone out of the practical necessity to be able to call their parents when games or practices are over or to let their parents know that they arrived somewhere safely. In today’s post, we explore a discussion about the appropriate age for a cell phone. First, there is no magical age in which a child needs a cell phone. It really depends on the circumstances. The decision really comes down to your child’s maturity and the needs of your family to keep in touch. Let me give an example. In our family, the best age for our children to have cell phones is 14 because this is the age when they start taking a school bus to school and we drop them off at practices without having to stay the entire time. It’s convenient for us if they have a phone to call us in case of emergencies related to being picked up from school or to call us when they are done with a game or practice. 1. Set a price limit, possibly ordering a good quality used phone to stay on budget. Cell phone are expensive! The latest iPhone costs over $800 and that doesn’t even include service. We buy used phones for our children. Trademore is a great place to order used phones. For instance, if you want a nice iPhone for them and are willing to go back a couple of generations, they have iPhone 5S phones for under $100! Of course, Trademore has many other options for phones. If your child has a job or birthday money and wants a fancier phone, they have everything up to the current iPhone. If your budget is smaller, they also have inexpensive Android phones. When we mention the competitive prices for Trademore, there is actually a lot more going on behind the scenes for why we like them. 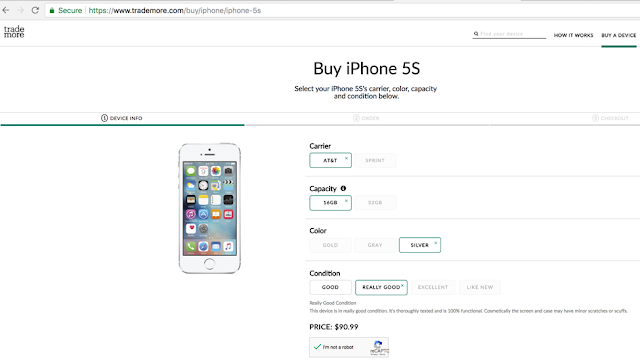 Trademore is pretty comprehensive and transparent about the quality of the different used phones. All devices go through a 30-point functional and cosmetic inspection for quality, reliability, and functionality. Every single one of the devices that they sell receives a 100% certification score. You pick the condition based on your preference and budget. (It’s the perfect scenario for parents who set a budget on their child’s phone!) They have fantastic customer service and will even ship your order quickly with free 2-day shipping and update you along the way. This trendy store is a great way to go, especially since we all know how expensive it is to raise children, let alone calculate in the price of phones and service. It’s important to set rules for cell phone usage before your child receives their phone. Be clear about the expectations for this privilege. For instance, is the phone only for them to call you or may they also call their friends? Are they allowed to browse the web? Are they allowed to use social media? Is it ok to play games? Create clear guidelines as early as possible. Giving your child a cell phone is a great step in helping them to gain independence. Set a good example by following good practices yourself. For instance, don’t talk or text on your phone while you drive. Try not to be glued to your cell phone during dinners or other special time together. Your children will follow the behavior that you model, for better or worse! Congratulations on making it this far in your parenting journey to be considering the purchase of a cell phone for your child. They grow quickly, don’t they? !